The farm bill includes an exciting new soil health project under the Environmental Quality Incentives Program (EQIP), which provides producers with funding for one-time conservation improvements. $15 million will be set aside annually through 2023 for a demonstration project to measure soil health and soil carbon (Title 2, Section 2308). The project, modeled on the National Corn Grower Association’s Soil Health Partnership, will provide financial incentives for producers in target geographies and will establish protocols for measuring soil health improvements. The results from these in-field demonstration projects will provide valuable information about the links between soil health, farm productivity, water quality and climate resilience. USDA will deliver findings in a report to Congress. Addressing weather volatility – a cornerstone of climate-smart agriculture – is now an official rationale for USDA conservation contracts under programs such as EQIP and the Conservation Stewardship Program. As a result, farmers who use conservation practices that increase climate resilience or decrease susceptibility to weather volatility will move to the top of the list in a crowded pool of applicants seeking USDA conservation funding. In addition, the bill takes an important step toward incentivizing conservation on the estimated 50 percent of U.S. cropland that is rented. Just as an apartment renter is hesitant to invest in improvements to a one-year rental, a producer farming on rented land has little incentive to invest in conservation practices that build resilience, but may not deliver a return on investment while they’re still on the land or that may not be allowed under the terms of their lease. The Senate bill authorizes a survey of the non-operator landowners (Title 2, Section 2506). Information about the demographics and motivations of landowners can help USDA better target programs and incentives that help renters and landowners make the business case for investing in conservation. This farm bill demonstrates a strong bipartisan commitment to 21st century conservation solutions and builds on a policy proposal introduced earlier this year by Senators Amy Klobuchar (D-Minn.) and John Thune (R-S.D.). It includes provisions to aggregate and anonymize agricultural data, giving farmers and policymakers unparalleled insights into the links between conservation, profitability and risk management, while also protecting producer privacy (Title 12, Section 12504). Farmers will see value from the data they already report into different siloes within USDA and gain important information for making land management decisions. Long term, this data will help build an evidence base to demonstrate how conservation reduces risk, which will strengthen the case for crop insurance. Crop insurance is a critical safety net for farmers. Yet, historically, it has inadvertently discouraged conservation. Most notable were instances of cover crops disqualifying farmers for indemnity payments. The Senate bill defines all conservation practices as “good farming practices” – a critical designation for ensuring that farmers receive full indemnity payments. In addition, the termination date for cover crops will no longer affect crop insurance on the cash crop (Title 11, Section 11107). 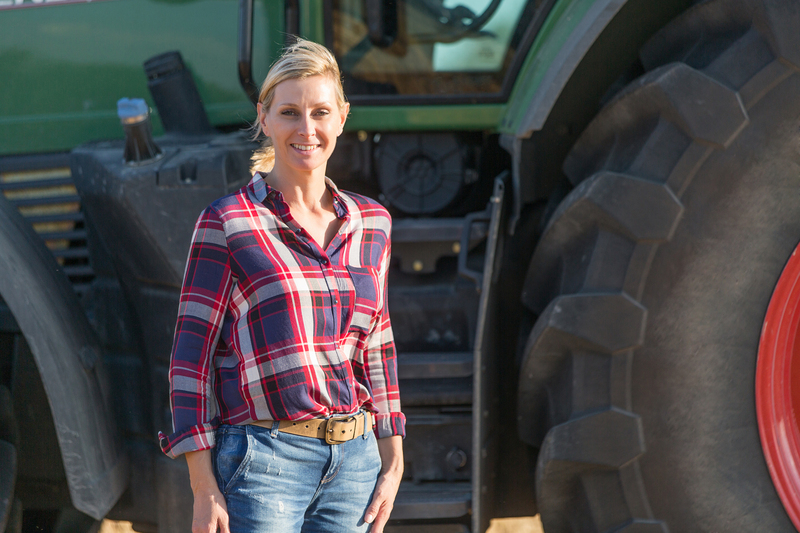 Even more exciting, beginning in 2020, farmers will receive discounted crop insurance premiums for using risk-reducing practices, including conservation practices (Title 11, Section 11109). Building on a bipartisan bill introduced last fall by Senators Debbie Stabenow (D-Mich.) and Joni Ernst (R-Iowa), the Senate farm bill makes strategic improvements to the Regional Conservation Partnership Program (RCPP) to boost private sector investment in conservation (Title 2, Section 2409). It provides $200 million in mandatory annual funding – a $100 million increase over the 2014 farm bill. Because private sector project partners match all federal RCPP dollars, this additional funding has a multiplied effect. Combined with a new requirement that the Secretary of Agriculture encourage source water protection under RCPP-eligible programs, public dollars will deliver improved environmental outcomes (Title 2, Section 2503). The bill also makes RCPP more flexible and user-friendly. The program will accept a broader range of projects, including those under the Conservation Reserve Program and those that use new conservation approaches. It will also streamline the application process and expedite renewals for existing projects. The Senate is expected to approve the farm bill, at which point it will move to a conference committee with the House. The compromise bill that emerges should combine the conservation advances found in each bill, preserve full conservation funding and reflect the spirit of bipartisanship that the Senate maintained throughout its farm bill process. This entry was posted in ecosystems, Sustainable Agriculture and tagged conservation, conservation solutions, crop insurance, data, EQIP, farm bill, innovation, investment, NCGA, policy proposal, public private collaboration, soil health, stewardship, USDA, wildlife. Bookmark the permalink. Both comments and trackbacks are currently closed. If they can no longer sell their crops because of trade diminishing who will this,help other than big corporate farms?